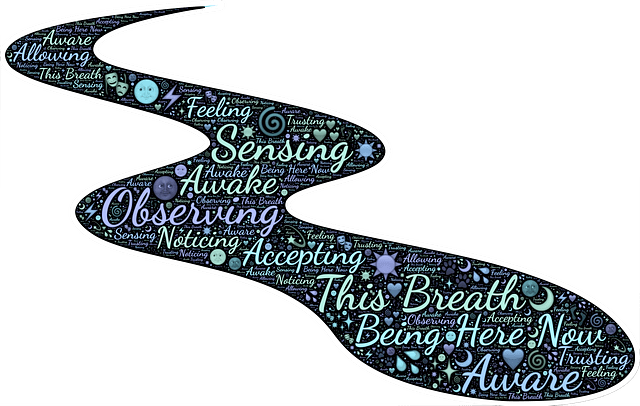 The Mindfulness Theory is a form of the emotional, cognitive, and neurobiological processes where people are made to think in ways that stimulate positive psychological states and derive significant meanings from their difficulties. The theory allows an individual to engage in a metacognitive state of awareness with his mind so that there is attention on useful information that he had previously ignored. The theory makes one to relate to peaceful and healthy activities that reduce stress and promote positive emotions in life. Mindfulness creates a reframing of the undesirable situations that people find themselves in due to poor health or calamities. The process encourages valuable behaviors and engages a person in a deeper sense of purpose and self-actualization. The reappraisal intensifies with the development of meaningful perceptions in life. Mindfulness has unique qualities that explain its usefulness and applicability in the lives of people. The first concept is the creation of new categories. This theory suggests that a mindful-thinker creates new distinctions and categories every time. He or she is not restricted to the common characteristics and groups of events in life. The second concept of the Mindfulness Theory is the openness to new information. People who have creative minds always accept new ideas into their lives. This is an essential element because many minds tend to ignore small and inconsistent signals. The last concept is to understand that there is more than one perception of things. When people are aware of other views other than their own, they realize that there are different ways of understanding information and doing activities. A liberal mind is significant in the life of an individual because of the uncertainty of the world.